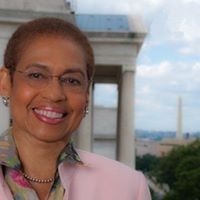 WASHINGTON, D.C. – (RealEstateRama) — Congresswoman Eleanor Holmes Norton (D-DC) today released the following statement to commemorate the 50th anniversary of the enactment of the Fair Housing Act, which was authored by Senator Edward Brooke (R-MA), the nation’s first popularly-elected African American senator and a native son of the District of Columbia, who served from 1967 to 1979. Norton also praised Brooke’s help on achieving the D.C. Home Rule Act. A Norton bill got Congress to award Brooke the Congressional Gold Medal in 2009. He was also a graduate of Dunbar High School and Howard University.